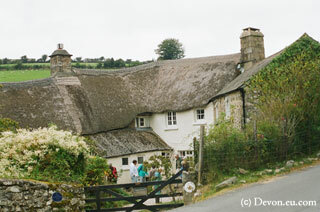 Dartmoor is a large area of upland moorland in the heart of Devon. It is almost 360 square miles and it has protected National Park status. It has a number of Tors which are high hills puctuated with granite boulder outcrops. 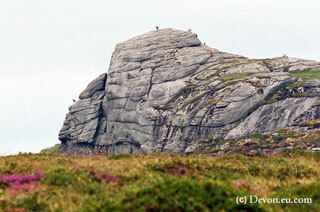 Some of the stones have interesting shapes and have been named accordingly like Bowermans Nose or Haytor Rocks (pictured) . In addition to these natural stones, there are also a number of Standing Stones (menhirs) that were placed there by people during the Iron Age. Other evidence of early settlement includes a number stone rows, stone circles quoits and stone hut circles. 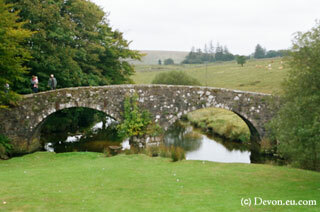 Dartmoor dominates the surrounding area and encompasses a number of towns within its boundaries. It is also the basis of many stories, myths and legends including the Sherlock Holmes novel Hound of the Baskervilles. Essentially Dartmoor is an untamed wilderness that appeals to a large number of people who visit it to enjoy its wonderful scenery and atmosphere. 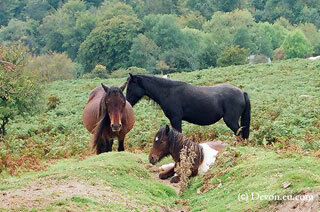 There is an abundance of wildlife including the wild Dartmoor ponies, sheep and cows that roam the moors. There are a number of organised walks such as the annual 10 tors trek, but a variety of other smaller scale outings can be arranged from various points during the summer months. As with any wilderness, care should be taken on any expeditions as Dartmoor has a reputation for wild weather and other hazards.